Hold onto your crochet hats! Little Nan’s – the fun-time bar group with outposts in Deptford and Fitzrovia both made to look like a grandmother’s front room – is about to launch a pub in south London. 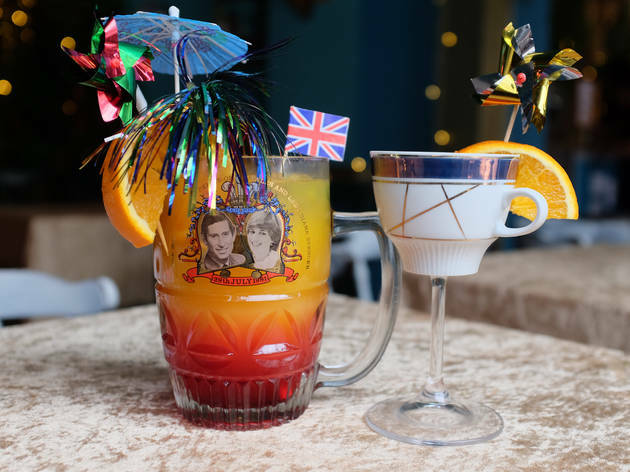 Little Nan’s Bar will be taking over The Cavendish Arms in Stockwell, bringing with it an abundance of doilies, ‘Eastenders’ references and kitsch cocktails served from teapots. Due to launch on Friday February 8, Little Nan’s and Shirley’s Ballroom at The Cavendish Arms will pair playful food and drink menus and retro stylings with the best bits of the pub (where Little Nan’s owner, Grandson Tristan Scutt, used to pour pints over ten years ago). So you can still expect to find The Cav’s comedy line-up and live music performances, as well as its popular pizzas – except now they’ll be served on Little Nan’s best china. The 150-capacity Shirley’s ballroom (named after The Cav’s landlady Shirley Jane Errey) will be available for private hire and come complete with a fancy-dress-up room and a mirror ball rumoured to have come from Studio 54. And groups of ten can hire out a 1970s caravan in the garden from which to do their drinking – they’re naming this Frank ‘n’ Pat’s Love Shack in honour of the romance of your nan’s times (between ‘Eastenders’ characters Frank and Pat Butcher, in case you’re completely out of the soap opera loop). 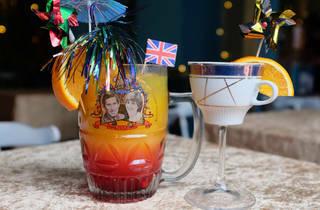 Punters will also be able to sample boozy brunches, afternoon tea (with even more doilies) and cocktails named after ‘Eastenders’ characters, royal family members and pop culture icons (well, if you’re in your eighties). The new location comes after the closure of Little Nan’s Broadway Theatre Saloon in Catford at the end of 2018. But at least the new home finally gives the ‘Enders obsessed team a chance to scream, ‘Get out of my pub!’ after last orders. Little Nan's and Shirley’s Ballroom at The Cavendish Arms launches on Fri Feb 8 at 128 Hartington Rd, SW8 2HJ. Find more weird and wonderful places to drink in our guide to the quirkiest bars in London.